Our vision is to create a thriving, sustainable community at the heart of NW7. The vision for Millbrook Park is to create a thriving, sustainable community at the heart of NW7, comprising a comprehensive range of imaginative new homes, designed to suit today’s lifestyles. 2,240 properties, will be developed in 15 phases alongside a range of community facilities, including the new Millbrook Park Primary School, which is now open, as well as almost six hectares of parks and open space. The current phases of Millbrook Park will be built out by renowned housebuilders Barratt London, Taylor Wimpey North Thames, EcoWorld London and Joseph Homes. 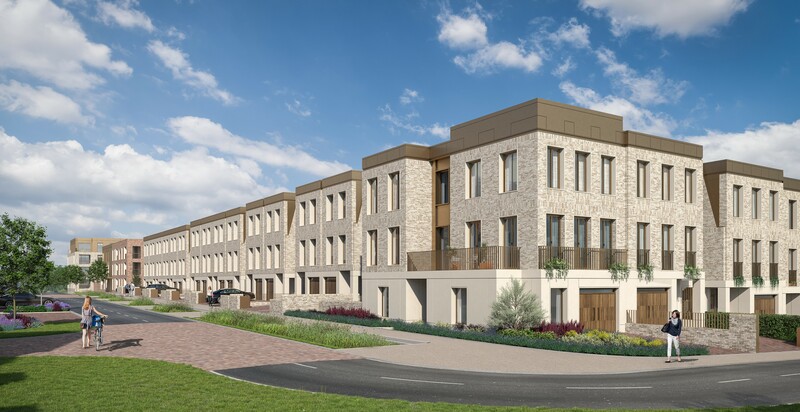 Taylor Wimpey have begun work on delivery of Phase 4a & 4c in the north of Millbrook Park, and these phases will contain 203 homes comprising one and two bedroom apartments and three, four and five bedroomed houses. Some of these properties are now occupied. A sales office is open. EcoWorld London will build 188 dwellings at The Claves, Millbrook Park, made up of 181 one and two bedroomed flats and 7 houses. A show home and sales office are open. COMING SOON. Joseph Homes will build 144 dwellings at No.1 Millbrook Park. A sales office will open in September 2018. Barratt London will build 355 dwellings at Millbrook Park. A Sales office will open in mid 2019.